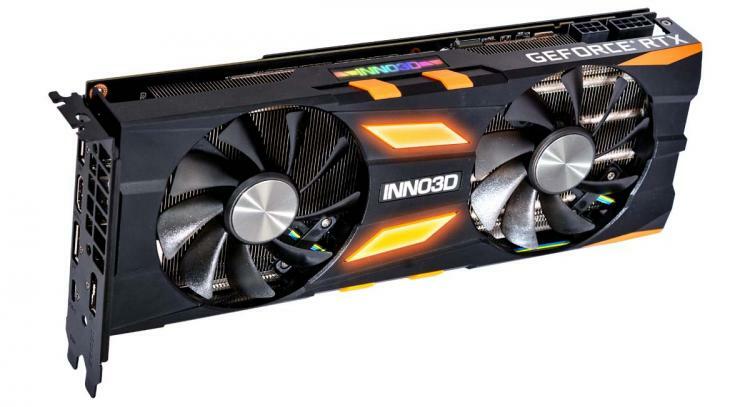 INNO3D launches two GeForce RTX 2070 Gaming graphics cards – the INNO3D GeForce RTX 2070 X2 OC and INNO3D GeForce RTX 2070 TWIN X2. 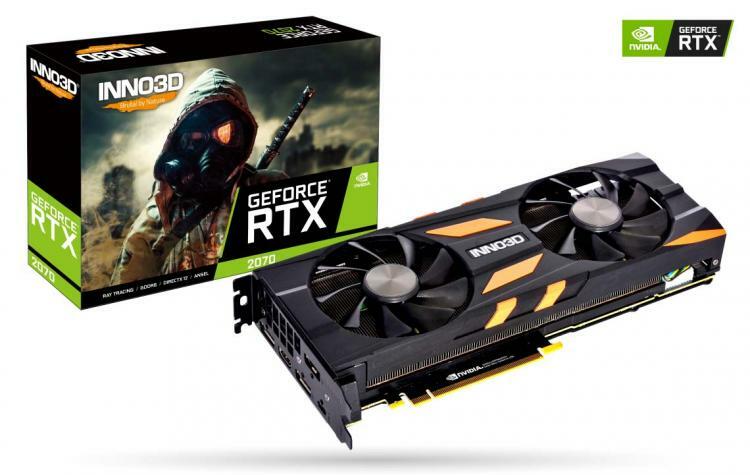 Powered by the new NVIDIA Turing architecture, the new RTX graphics platform offer up to 300% performance of the previous-generation NVIDIA GeForce graphics cards. NVIDIA Turing also brings the power of real-time ray tracing into mainstream consumer graphics computing. 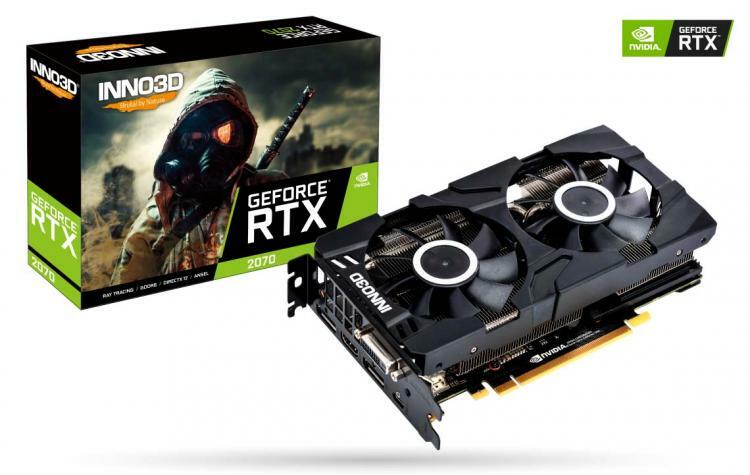 The INNO3D GeForce RTX 2070 X2 OC Edition graphics card is designed especially for gamers that demand better-than-reference-design performance with superior cooling as demanded by AAA game titles. 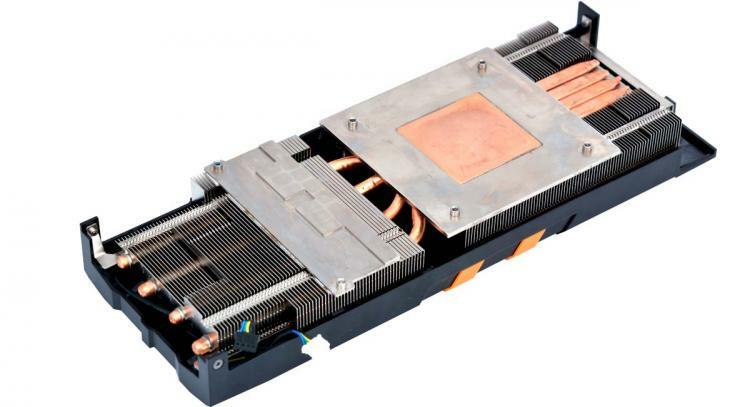 The RTX 2070 X2 OC features vapour chamber heatsink design with the Power Direct Cooling System (PDCS) that transfers heat from the aluminium fins directly into the copper heat pipes. The heat sink is cooled by two 92mm ultra quiet cooling fans. It features the AI Full-Stop-Mode technology and a strong reinforcing backplate. The INNO3D GeForce RTX 2070 X2 OC Edition comes with RGB lighting which can be fully customized using the INNO3D Graphics Engine. However, there is no information as to RGB synchronization support for motherboard-based RGB software. Check out our GeForce RTX 2080 Ti, RTX 2080 and RTX 2070 Roundup here.